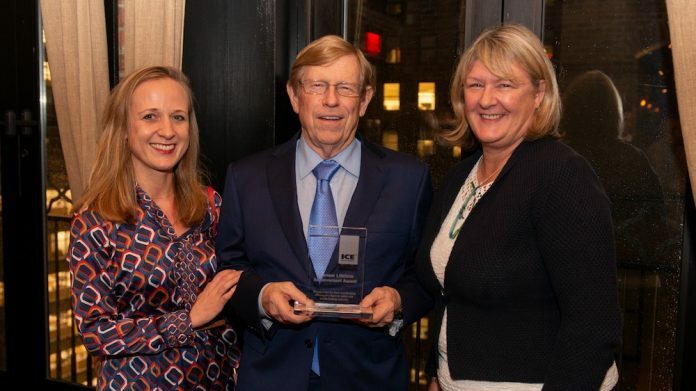 Clarion Gaming, organisers of this week’s ICE Sports Betting USA, has named Theodore B. Olson, Partner at Gibson, Dunn & Crutcher’s and former United States Solicitor General, as the first recipient of the iPioneer Lifetime Achievement Award. Mr Olson, who received his award at a special reception held in New York and hosted by Clarion Gaming, was recognised for his success in leading the oral argument in front of the United States Supreme Court in the historic Murphy vs. National Collegiate Athletic Association, which ultimately led to the repeal of PASPA (Professional Amateur Sports Protection Act). The iPioneer Lifetime Achievement Awards, which have been developed as part of the ICE North America campaign, will recognize outstanding individuals within the sports betting and interactive industry. The selection of recipients will be conducted in cooperation with Ampersand, Clarion’s 1,000-strong think tank.